John Lauriantis is the brother of Joe Lauriantis (aka Road Warrior Animal) and Mark Laurenitis (aka The Terminator). 1987: Johnny Ace started out as a “flag-bearer” for the Sheepherders until they turned on him and picked up Rip Morgan. 1988: Johnny Ace teamed up with guys like Mighty Wilbur and Ricky Santana to do jobs to the Sheepherders. Johnny Ace wrestled in Florida Championship Wrestling often teaming with his brother, The Terminator. Johnny Ace teamed with Shane Douglas in the forgettable tag team, “The Dynamic Dudes” in World Championship Wrestling. September 30, 1989 – NWA WCW: Sid Vicious defeated Johnny Ace. October 14, 1989 – NWA WCW: The Dynamic Dudes (Johnny Ace & Shane Douglas) defeated Bill Ford & Lee Scott. October 20, 1989 – NWA WCW: Johnny Ace defeated Rip Morgan. October 28, 1989 – NWA Halloween Havoc: The Fabulous Freebirds (Jimmy Garvin & Michael Hayes) defeated The Dynamic Dudes (Johnny Ace & Shane Douglas) to retain the NWA world tag team titles. November 15, 1989 – NWA Clash of The Champions 9: The Midnight Express (Bobby Eaton & Stan Lane) defeated The Dynamic Dudes (Johnny Ace & Shane Douglas). February 25, 1990 – NWA WrestleWar: Buzz Sawyer & Kevin Sullivan defeated The Dynamic Dudes (Johnny Ace & Shane Douglas). May 19, 1990 – NWA Capitol Combat: Mean Mark defeated Johnny Ace. June 1-2, 1990 – NWA WCW: Mark Callous defeated Johnny Ace. 1990: After AJPW cut its ties with WCW, Johnny Ace decided to stay with AJPW (where he became Head Ganjin Booker). Johnny Ace formed a tag team with the legendary Kenta Kobashi known as “GET” in Giant Baba’s All Japan promotion. 2000: Johnny Ace retired from active wrestling after Mitsuhara Misawa’s Pro Wrestling NOAH split off from AJPW. 2000: Johnny Ace was hired on as a booker for World Championship Wrestling (replacing Vince Russo). 2001: Johnny Ace signed with the World Wrestling Federation as a road agent after WCW was purchased. 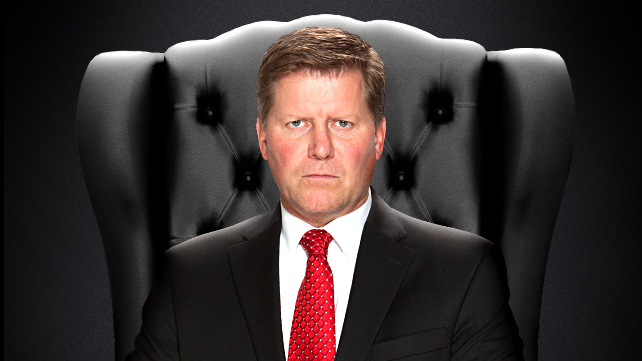 ~~~It was said that Johnny Ace was being groomed to replace Jim Ross as head of WWE Talent Relation. April 9, 2004: John Laurinatis officially replaced Jim Ross as the Vice President of WWE Talent Relations. 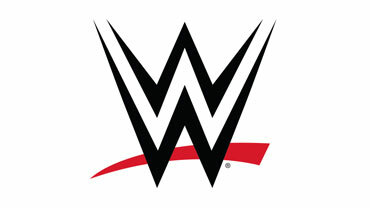 May 2007: John Laurinaitis’ official title became the Senior Vice President of Talent Relations. May 20, 2012 – Over the Limit: John Laurinaitis defeated John Cena (Big Show interfered). June 17, 2012 – No Way out: John Cena defeated The Big Show in a Steel Cage match. After the match Vince McMahon fired John Laurinaitis. June 18, 2012 – RAW: John Cena defeated John Laurainitis and David Otunga in a “2-on-1” handicap match. October 10, 2014 – SmackDown: Team Teddy (WWE United States champion Sheamus, Mark Henry, Jack Swagger, the Usos, and Los Matadores) defeated Team Johnny (WWE tag team champions Goldust and Stardust, Cesaro, Bo Dallas, Damien Sandow, Heath Slater, and Hornswoggle) in a 7-man tag team match. So when does @DevinCow get to sue Devin Nunes for being an annoying parody account? CNN has me convinced I have mesothelioma.